There’s nothing like a plan – and this was nothing like a plan ... as it had been roughly nailed together by me. The aged P being in relatively good health at the mo’ and other calls on the estate being relatively minor, it was possible for a swift rally of the troops for a pre Challenge backpack in the Lakes to shake down the kit and ensure that the limbs were up to the task ahead. Thursday evening saw us in the Old Dungeon Ghyll for supper and a few beers. The 'us' being me, Alan Sloman, Andrew Walker, David Wilkinson, Shirley Worral and Piglet the Border Terrier. After packing up the tents, Friday morning saw us stagger back from the camp site to the Old Dungeon Ghyll for coffee and a strengthening of resolve. By 11.00 our resolve was sufficiently strengthened to actually set off. Up Mickleden and Stakes Pass, swinging round Langdale Combe and on to Angle Tarn. There we bumped into another couple of challengers honing their skills and fitness, the ‘legendary’ Terry Leyland and first timer, Jane Hilder. Onward and upward through mist, drizzle and increasingly poor visibility, we skirted Allen Crags to arrive at High House Tarn – a wonderful wild camp site that we have used a couple of times before (see here and here). A tip about water – being quite high (about 2200ft) there are no streams, but short exploration NE will usually find a little clear spring if rain has fallen recently. If in doubt, fill up beforehand. A word here about dawgs. Even little dawgs like Piglet are natural thieves, and exploring my open tent the wee porky terrier found and scoffed the entire packet of pancakes that I had brought for my breakfasts. Caveat ambulor. The visibility was very poor that night, so rather than stargazing most of the crew spent the evening being fleeced at Al’s Casino where arcane rules of Rummy were being devised and enforced on the hapless (and soon to be penniless) players. Drink was taken, and so to bed. Saturday saw an improvement in the weather, and as we struck out over Allen Crags superb views of Scafell, Bowfell and Derwent Water came and went through boiling shreds of cloud and sunshine. A truly wonderful sight. Off we went down past Sprinkling Tarn and inevitably down the horrible path to Wasdale and the Inn, where a restorative lunch and a couple of pints fortified us for the ascent of Black Sail Pass. At the summit we swung east along the little path that sort of comes and goes below Kirkfell Crags and the up to camp just beyond Beckhead Tarn, on the col between Kirk Fell and Great Gable. What a spot! The views are just stunning and the full moon and stars made for a memorable night, if a cold one. Fortunately the whisky supplies had held out and we slept like babes as the temperature dropped to zero. Sunday. Homeward bound today (sob). But not before a stiff climb up and over Windy Gap and down to Styhead Tarn from where we watched a helicopter rescue over the Scafell “Corridor Route”, Whether real or an exercise I’m not sure, but a very impressive exhibition of flying skills by the pilot. After that the remaining clouds disappeared for a really sunlit blue sky day, with the Lakeland scenery at its best as we trudged over Esk Hause and down the old coffin path by Rosset Gill to Mickleden and back for a well earned bear at the ODG before setting off for home. All thoroughly enjoyable and, remarkably, no significant aches and pains either. I might just be ready for the TGO Challenge after all. Sunday saw us revisit the Great Eastern Pingo Trail where we last went for a walk back in May 2009. Nothing much had changed, the walk along the old railway (closed in 1965) remains as pleasant a railway walk as any. and the wetlands of Thompson Carr were alive with life - insects, birds, grass snakes and deer all taking advantage of the warm April sunshine. But it was as we sat having our lunch beside a largish pingo at Stowbedon Covert (TL936966) that we noticed two large birds circling overhead. Too big for geese, similar to giant herons with outstretched necks - these were seriously large birds. Then Miss W mentioned that she had heard on the local news a while ago that Cranes were extending their range in Norfolk beyond the small colony on the Norfolk Broads. 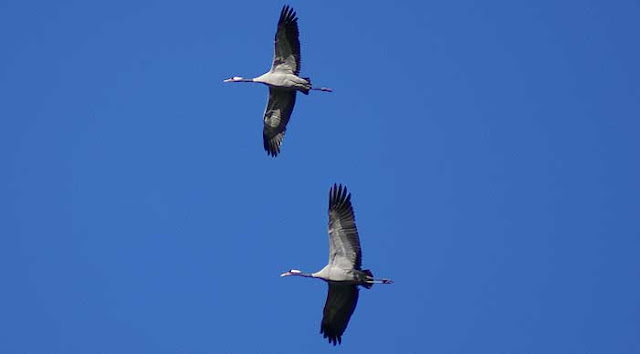 That's what we were seeing - a pair of cranes scouting out a new nesting site. We watched them for about ten minutes or so before they drifted away. A superb sight. Brilliant! A pair of Common Cranes in flight - the wingspan is between 6 and 8 feet (240cm) - pic by Gt Yarmouth Bird Club. As we lurch into the Spring sunshine, an evil fug will be spreading throughout hundreds of households as backpackers across the land finely shred perfectly good food and spread it over the trays of a ‘dehydrator’ in order to reduce it to unidentifiable granules. After sweating away in a plastic bag for a week or maybe a couple of months, these will be reconstituted to a malodorous mass by the addition of a pint of boiled water, and consumed as a slurry seasoned with occasional dry woody bits. This will be proclaimed to anyone nearby who might be eating something palatable as “just like it tasted at home” (which is a warning to avoid any future dinner invitations) along with more incredible observations such as “mmmm, the Yorkshires came out particularly well”. 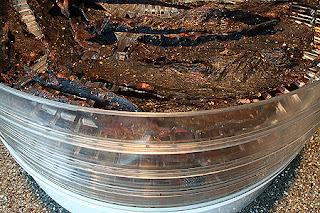 A keen dehydrator devotee once offered me a flexible brown substance, accurately described as a “fruit leather”. Why anyone would want to turn perfectly good fruit into leather is beyond me, but I have to admit that in terms of appearance and consistency he had done a spectacularly good job. So, no, I am not a great fan of home dehydrated grub. I love home cooking, but trying to convert it into trail food is the point where lightweight philosophy becomes hair shirt philosophy. Where food becomes mere fuel, a sort of biomass in this case. Home made dehydrated food may be very light - at least in theory. But is it really tasty? Does it really rehydrate in minutes? Having seen people forlornly poking and prodding at their home made sludge for up to an hour or more, I have doubts. We've all got to eat, so why not simply carry an extra pound or two and make it enjoyable? 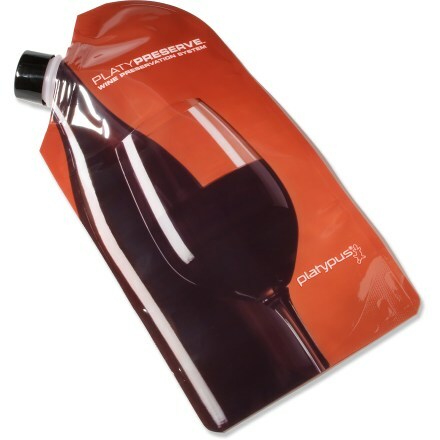 A glass of wine of an evening is very nice too, and those good people at Platypus were quick to recognise that not all of us drink water, with the Platypus wine preserver. So this year I have planned to take as much real food as possible on my Challenge crossing (bread, cheese, a bit of pickle, fruit etc) but there will be long interludes where weight will be a major consideration, and a bit of instant hot food will be required of an evening. Reliably quick and reliably tasty food too. Yes, yes, you’re right, it’s got to be dehydrated meals – but edible ones please! So, with chewing on old leather and reconstituted ferret droppings out of the question, and a diet of Smash and HP Sauce sachets equally appalling, I called Outdoors Grub* to stock up on my favourites from Mountain House and Adventure Foods, plus four Real Turmat meals for ‘to hell with the expense’ gourmet treats. * TGO Challengers – check your February Newsletter for Outdoor Grub's discount deal.